The island of Hawaii is larger than all of the other Hawaiian Islands combined! It’s also the youngest (less than 500,000 years old) and, thanks to its active Kilauea Volcano, still growing. Beyond luxury resorts, low-key towns and a wealth of shopping, dining and entertainment, its 4,028 square miles and 266-mile coastline beg to be explored, and teambuilding opportunities are abundant. Groups can hike a variety of terrains — from tropical to arid — or helicopter above the steaming Puu Oo vent, go deep-sea fishing or race in outrigger canoes, zipline down lofty mountain slopes and snorkel with massive manta rays as they feed on plankton at night. No matter the experience, one things is certain: attendees will leave inspired to think bigger, work boldly and approach projects with new perspective. A variety of florae, insects and birds found no place else on earth. 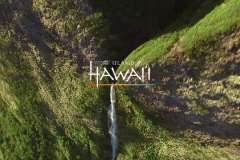 There are a range of hotel properties on the island of Hawaii, with a combined inventory of more than 6,000 overnight rooms. Even the largest groups can find suitable properties here, with ample space to spread out. The island of Hawaii's top resorts are along the Kohala Coast, in Keauhou, and in Kailua-Kona — all on the island’s western (leeward) side — and promise all the amenities one could wish for: watersports, refreshing pools, chef-centric dining, tennis, spas and golf. Hawaii's ancient stone heiau (temples), historic homes of Hawaiian royalty and community leaders, 23,000 ancient petroglyphs in Hawaii Volcanoes National Park and partially restored 600-year-old fishing village of Lapakahi are just a few of the many cultural treasures here. The island also hosts a world-renowned traditional hula competition, home to incredible multiethnic cuisine and flourishes with paniolo (Hawaiian cowboy) culture in Waimea. The island of Hawaii has entered the global spotlight as a key research setting for several important fields, including volcanology, biology, ocean sciences, geology, green technology and agriculture. Groups in all industries have something to learn from places such as the Hawaii Ocean Science and Technology Park and the Imiloa Astronomy Center, where science, history, and culture merge.